Raul Castillo poses for a portrait to promote the film, "We The Animals", at the Music Lodge during the Sundance Film Festival on Friday, Jan. 19, 2018, in Park City, Utah. 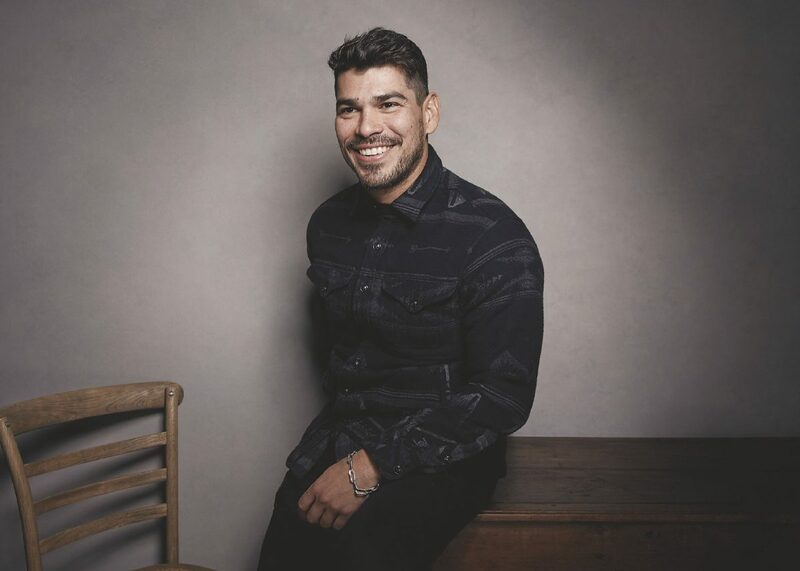 McAllen native Raúl Castillo’s Sundance Film Festival award-winning film, “We The Animals,” opens in the Rio Grande Valley on Friday at the AMC Edinburg 18. The McAllen High School graduate will host question and answer sessions in Edinburg after the 7:50 p.m. screenings Friday and Saturday, and also following the 3 p.m. Sunday showing. Castillo stars in the adaption of the 2011 novel of the same name penned by Justin Torres, which earned director Jeremiah Zagar the 2018 Sundance Film Festival Innovator Award. “I was blown way,” Castillo told The Monitor earlier this year about the script. “Animals” is a coming-of-age story featuring three children growing up in a fraught parental environment. Critics have compared the film to “Moonlight,” the 2017 Oscar winner for best picture. Tickets for screenings of “Animals” can be purchased for Friday through Thursday, Oct. 4. The rated-R movie received a wide release on Aug. 17 and currently has an 89 percent rating on critic-aggregating review site Rotten Tomatoes. “El Chicano,” Castillo’s Latino superhero film, hits theaters later this year. He plays a pair of brothers in the film that includes George Lopez and Kate del Castillo. The story has updated to reflect the new question and answer sessions, which are Friday, Saturday and Sunday.